Dr. Cheryl Hamilton is a licensed Naturopathic Medical Doctor and is the Medical Director of her clinic, the Health and Healing Center in Prescott, Arizona. She began her health career over 38 years ago, by earning a Bachelor of Science Degree in Food Science and Nutrition from Colorado State University in Fort Collins, Colorado. She was employed as a nutrition consultant at a health and fitness institution before deciding to become a stay-at-home parent for her four children. During this time she studied alternative perspectives on health. Her research was instrumental in helping her establish a way of life that promoted health and well-being. Since her knowledge had improved her family’s and her own health, she established a health and nutrition consultation business and began teaching accredited nutrition and exercise courses at a local community college. The highlight of her teaching career occurred when a former student of her nutrition and exercise courses approached her with tears in her eyes and said, “Thank you for giving my life back”. It was then that Cheryl realized she wanted to learn everything she could about helping women to lead happier, healthier lives. She left teaching to pursue the fulfillment of her lifelong dream of becoming a physician by attending the Southwest College of Naturopathic Medicine (SCNM) in Tempe, Arizona, one of the six accredited colleges of naturopathic medicine in the United States. Dr. Hamilton is a trained physician in scientifically based alternative health care approaches to therapy and has comprehensive knowledge of scientifically validated traditional and alternative medicine disciplines. Go to: http://www.naturopathic.org/natfaqsf if you would like to know more about naturopathic medicine. Dr. Hamilton concentrated in women’s medicine because she feels that since women bring life into the world and are the primary nurturer’s of life, women have the most influence on the current paradigm of life. By helping a women to achieve her highest level of health and well-being, the sense of wellness will be exponentially radiated to all around her, thereby improving the health and well-being of her loved ones, her community, and to Earth. Postdoctoral training includes Prolotherapy & Platelet Rich Plasma Therapy for joint pain; Small Intestinal Bowel Overgrowth (SIBO); Advanced Herbal Therapy applications for anxiety, menopause and depression; Advanced Bio-identical Hormone Therapy; Menstrual Disorders and Adolescent Medicine; Low Dose Naltrexone (LDN) Therapy; In Office Compounding; Methylation and Genomic Medicine; Aesthetics: Botulinum (Botox) Toxin Injection, Micropen and Advanced Micropen Therapy for Skin, Scar Therapy and Hair Regrowth and Vi Peel indication/application; Advances in Environmental Medicine: Immunotoxicity; Advances In IV Nutrient Therapy; Heavy Metal Toxicology for EDTA IV; and Endocrine Therapies: Thyroid Hormone Disorders. 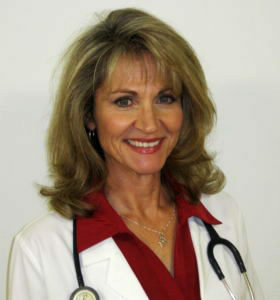 Dr. Hamilton’s passion is teaching people how to attain health and vitality. She hosts A Way Of Life Weight Control Seminars three times a year and personally teaches the eight courses in health attainment and weight management. In her downtime, Dr. Hamilton enjoys gardening, food preservation, healthy cooking, hiking, reading, and writing.